Comment: this 11-notch album chimes like a rusty mood music issue where low-end, 8-bit frequency based rhythms do vary with more bold and thudding rhythmic patterns. All these cadences are adorned with catchy melody and harmony threads where one could perceive even the 80s electro disco and house vibes (at Not House, for instance). Not House is followed by Out Smarted which is a fabulous blend of folk, hip-hop and 70s electro pop a la a late Kraftwerk. The next track People is about catchy warped synth lines and heavily stomping electro rhythms which are imbued with exquisite sonic debris and a vowel iteration. The opening tracks Are We Digital, and Duck+Cover remind a little bit of the Orb`s ambient trance opus Orblivion (1997, Island) which makes me immediately psyched. 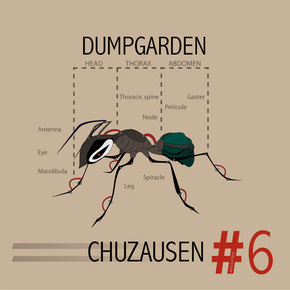 The more you listen to this issue by the Madrid, Spain-based mastermind Chuzausen the more you perceive his poppy yet not self-indulgent potential which could be a case of ideal pop in certain circumstances. The whole is organic and witty – all these elements which are treated over there are the delicate ones and they are expertly mixed up with each other. Fairly great indeed.